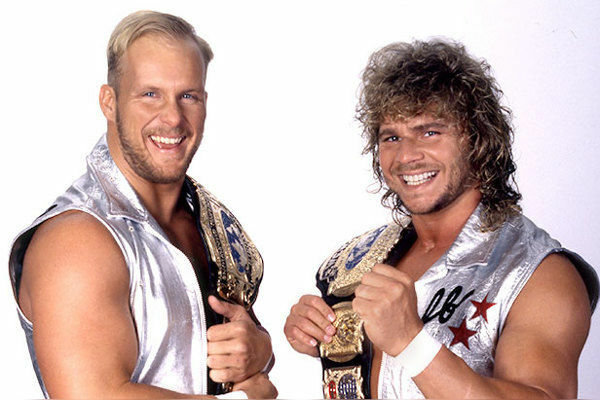 Short term tag teams have been the law of the land for years in wrestling. 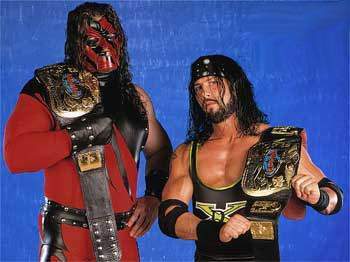 Whether in WCW, ECW, or WWE, short term tag teams have been fun, and provided us with some of the best tag team matches we've ever seen. Today, I wanted to reflect on 5 of those short term teams that had great runs and gave us great moments. Let's take a look. -While this team was loved for nearly a year of teaming up, they don't get enough credit for what they did and how popular they became. They would go on to feud with the NWO and be responsible for hilarious segments over the months, but their finest moment came when they finally defeated Chris Jericho and Christian for the tag team titles. 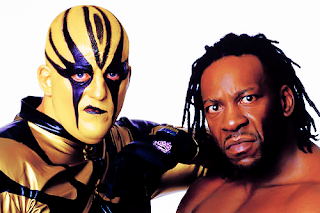 In addition to that, Booker and Goldust managed to become the most over tag team during the down period of RAW in 2002 and early 2003. Through feuds with the Un-Americans, the leftovers of the NWO, and of course Jericho and Christian, Booker T and Goldust had the benefit of playing off of great heels to become more popular than ever. During this time, there was no one on RAW gaining as much momentum from the crowd as Booker and this team just solidified his popularity and star power. 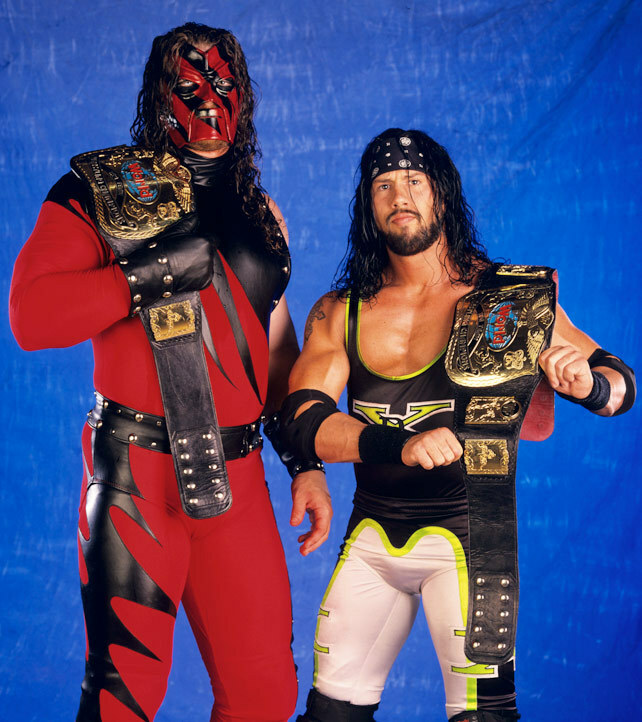 *X-Pac and Kane -I never found X-Pac to be one of the best wrestlers in the company during his run as the 1-2-3 Kid or even as X-Pac, but I can admit that he was tolerable during the late 90s to an extent. When we saw X-Pac go solo as a result of the DX breakup, it seemed as if he might struggle. Also struggling some was Kane, who seemingly broke away from The Corporation and was no longer a heel. This unlikely tandem became a hugely popular team during the summer of 1999 and won the tag team titles, having matches with Owen Hart and Jeff Jarrett, D-Lo Brown and Mark Henry, and of course The Undertaker and Big Show before they would break up when DX reformed as heels to help Triple H start his ascension to the main event scene. 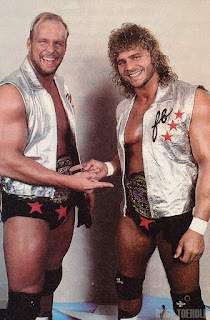 Still, during their time together, they were one of the most popular tag teams in the company and definitely were fun to watch. -Anytime you get a team together like this, you're bound to have some amazing moments and matches. Kofi Kingston was one of the most entertaining performers in the ring, and so was Evan Bourne. Neither man was set for a singles run, so when that occurs, usually the WWE puts guys together in teams. This tag team was a bit short lived, as through the years, they would team off and on, before officially forming in 2011. This is where AirBoom was born and they would come out of nowhere so to speak, as they defeated the tag team champions in a non title match before doing the same feat in a title match the next week to win the belts. Over their short 5 month run, AirBoom feuded with R-Truth and The Miz, Dolph Ziggler and Jack Swagger, and Primo and Epico before Wellness issues slowed the team down and eventually knocked Evan Bourne out of the company. Still, in their time in the WWE, they were very fun to watch. 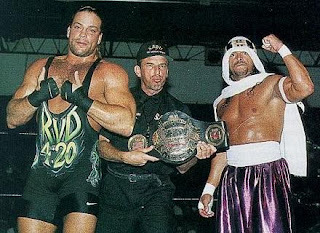 -A team that was short lived due to both men being singles competitors, the team of RVD and Sabu is one of my all time favorite teams in ECW history. Two of the greatest singles competitors in the company combined as a team and they could do no wrong really. As a tag team, they were super over, and once they got a shot in 1998, they would make the most of it, winning the ECW Tag Titles from Chris Candido and Lance Storm. 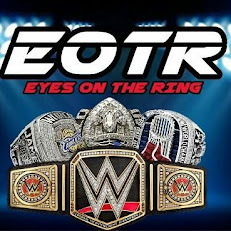 They would defend the belts for a while before losing them to the Dudley Boyz and regaining them and losing them again. Sabu and RVD would feud for multiple months off and on, and they would stop teaming after losing the titles, but would reunite briefly in WWE and TNA, but those reunions were not significant enough to really matter much. 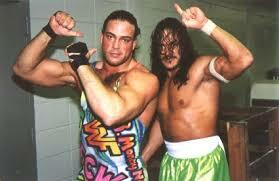 However, in their short time together as an actual tag team, they were magic. -If you ever need proof of the fact that WCW was full of idiots, look no further than this team. Stunning Steve Austin and Flyin' Brian Pillman could have ended up as one of the greatest tag teams of all time. They are to me, but they don't get the credit they deserve due to WCW completely messing up their run. With two great singles competitors together, you wouldn't believe the level of greatness they would bring as a team, starting with their promos, as both men were masters on the mic. In the ring, they would put on good matches against Shane Douglas and Brad Armstrong, Shane Douglas and Ricky Steamboat, 2 Cold Scorpio and Ron Simmons, and most famously Ric Flair and Arn Anderson. These were all vital matches and their feuds with some of those teams proved why The Hollywood Blonds had the power to become one of the all time greatest in such a short time. It's a shame they never got a chance to see where it could go but for both men, I think it worked out better that way.